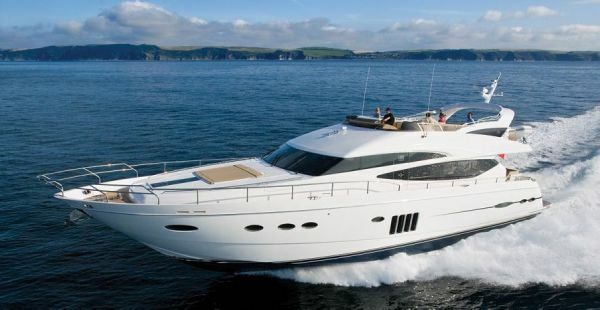 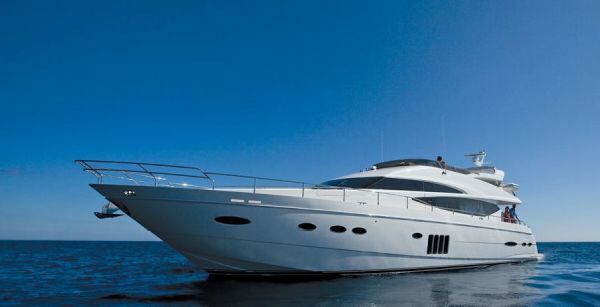 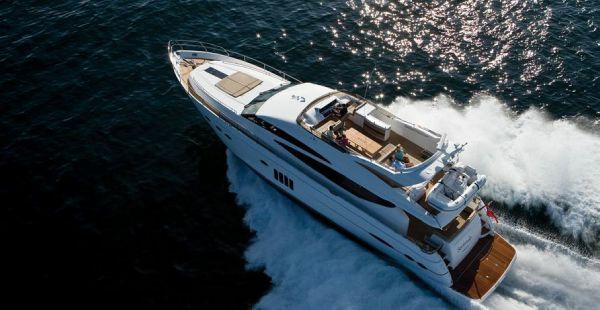 This Princess Flybridge 78 Motor Yacht is large enough to cross oceans, in style and comfort... on-board space isn't an issue. 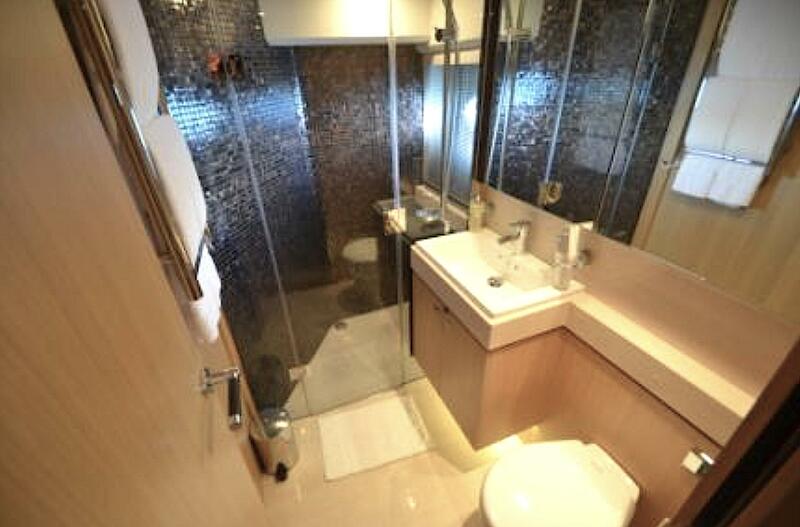 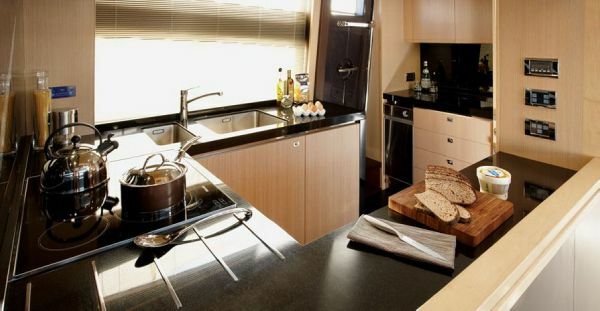 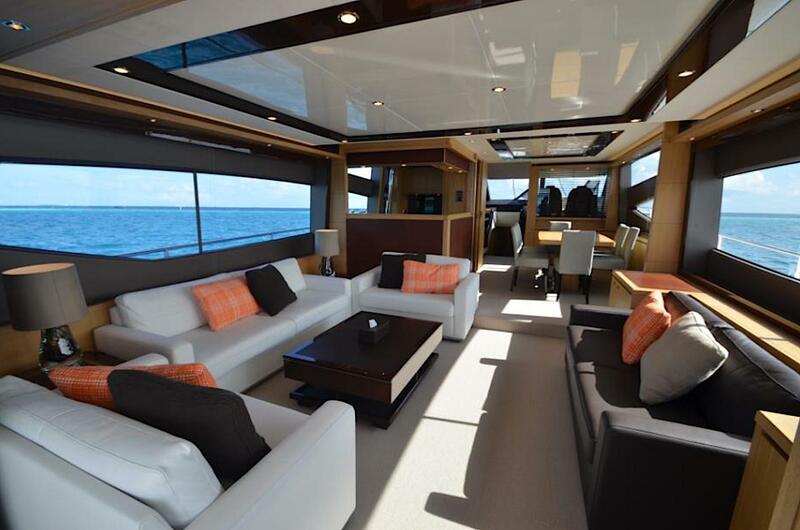 Family and friends can be entertained and accommodated in luxury before a backdrop of beautiful islands. 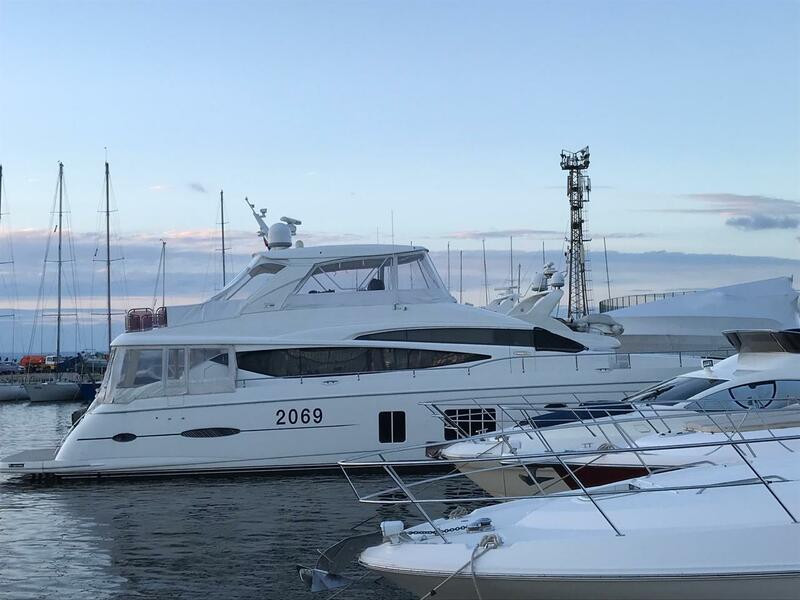 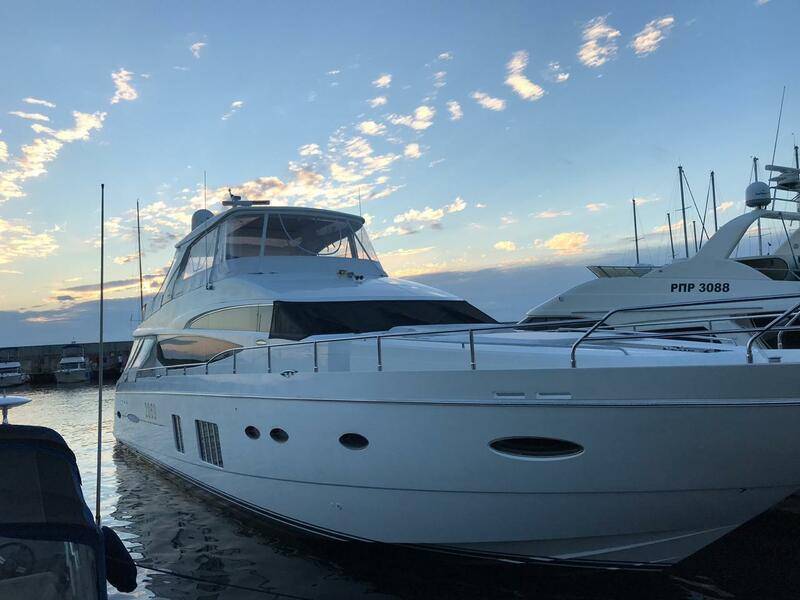 The performance of the Flybridge 78 is an assured, stable ride for effortless fast and efficient cruising. 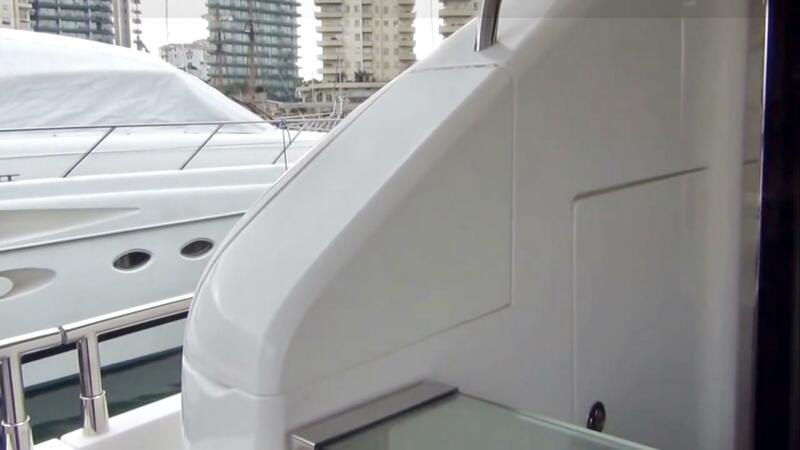 Deep-V hull combined with twin Caterpillar 1825 MHP ensure exceptional performance. 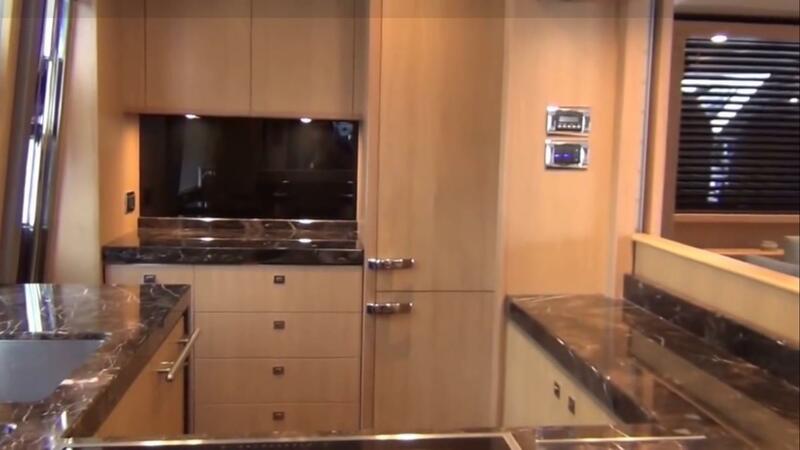 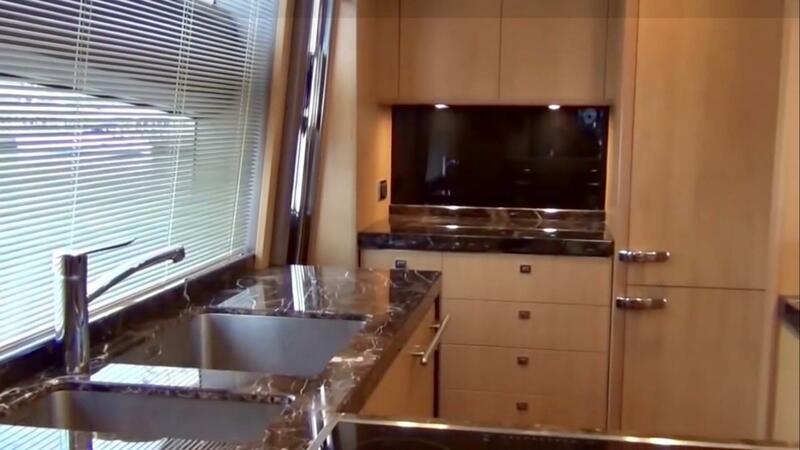 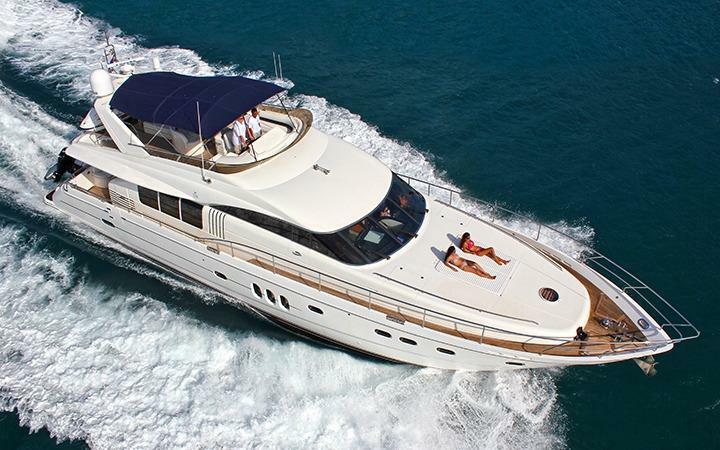 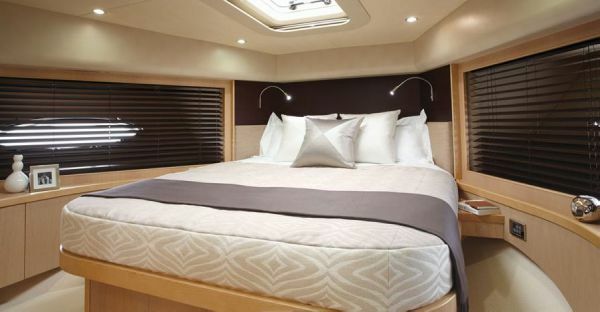 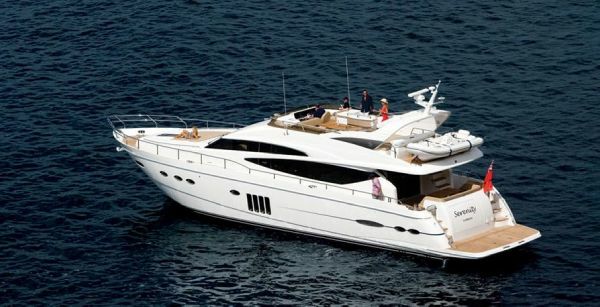 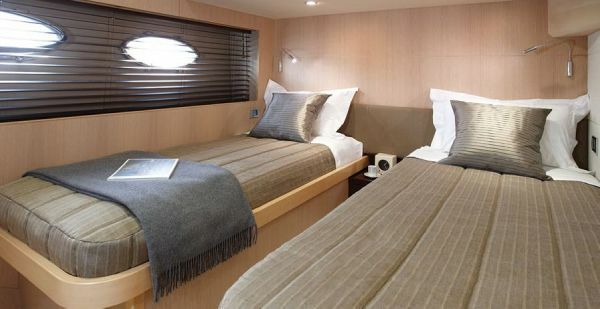 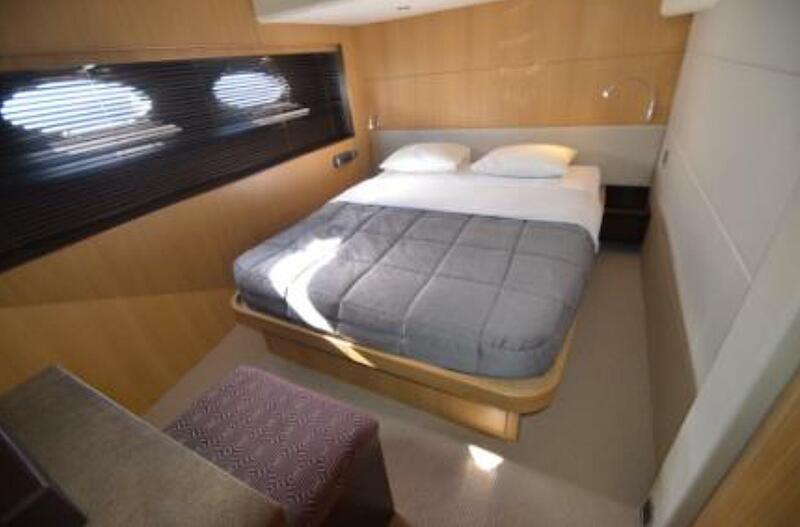 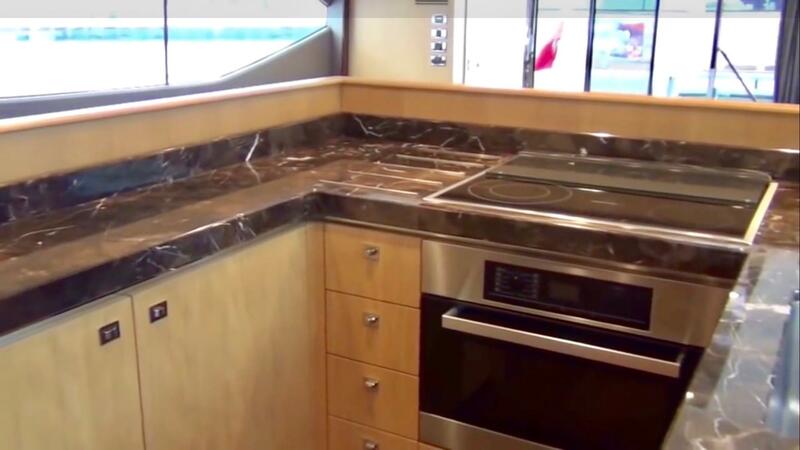 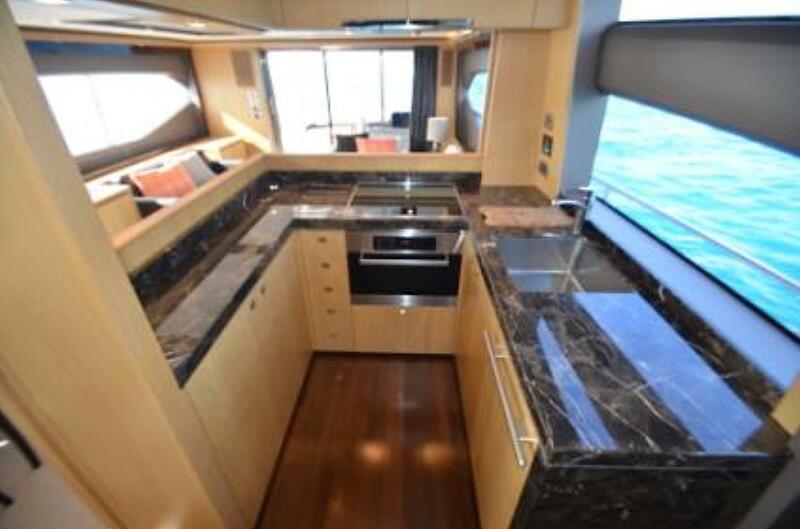 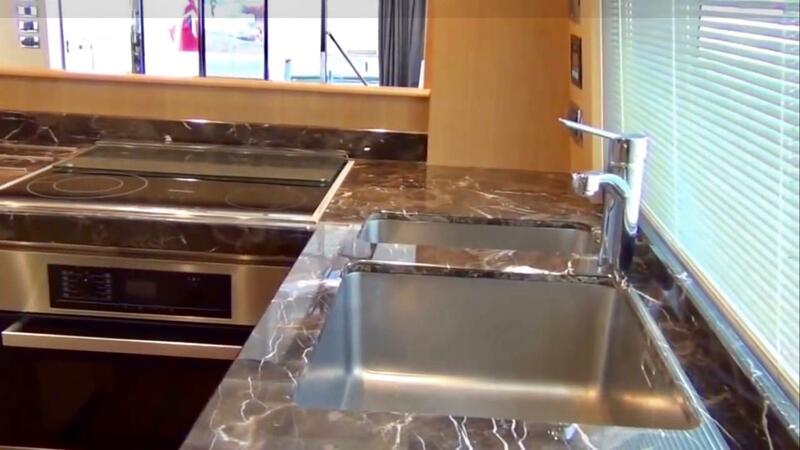 The saloon opens up to a large cockpit covered by the overhanging flybridge and comes complete with built-in wet-bar. 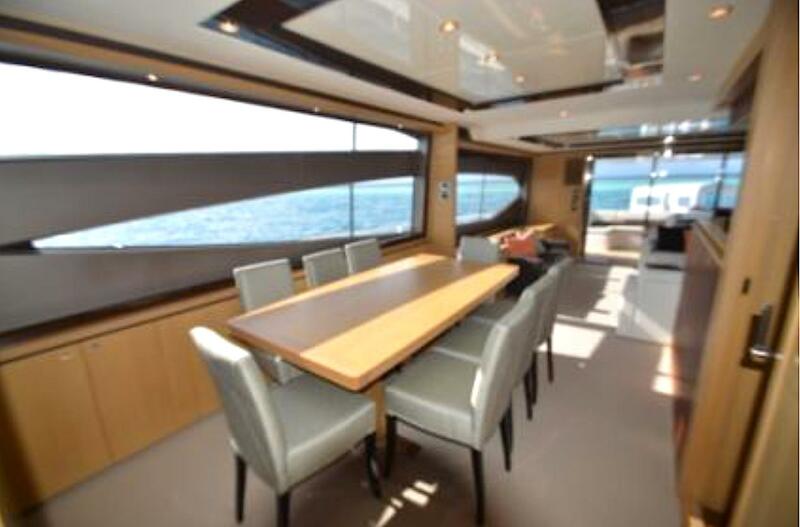 On the transom, is a large lounge with foldout table. 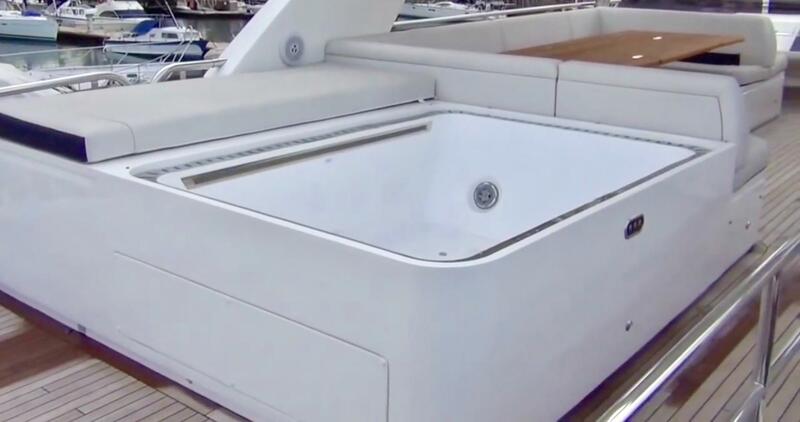 Steps either side of the lounge lead down to the hydraulic swim platform. 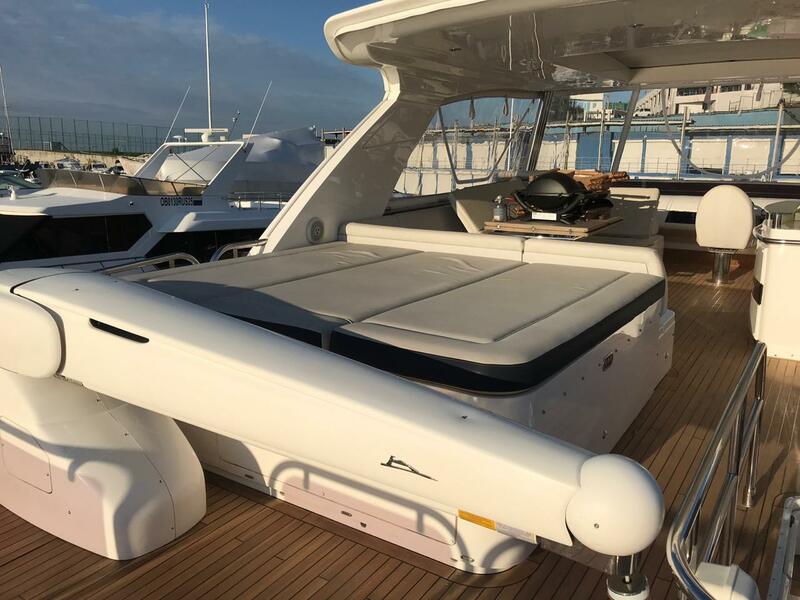 The flybridge incorporates an built-in Jacuzzi, a relaxing seating area that converts into a sun-bed, and a second full-size wet-bar with built-in electric BBQ. 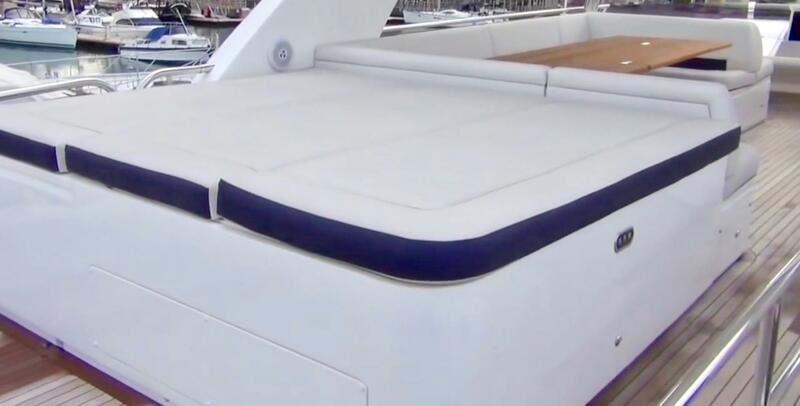 There is also a hydraulically operated Bimini. 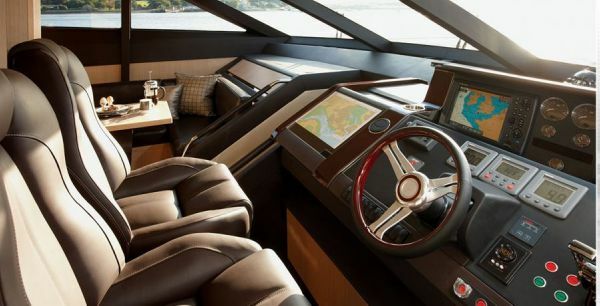 The second helm station on the flybridge, with instrumentation duplicated from the lower helm, is incorporated into a clever dash panel that hydraulically closes when not in use. 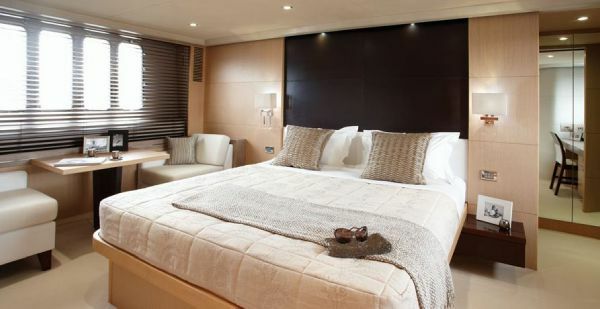 There's also a comfortable guest area with seating adjacent to the the captain's helm seat. 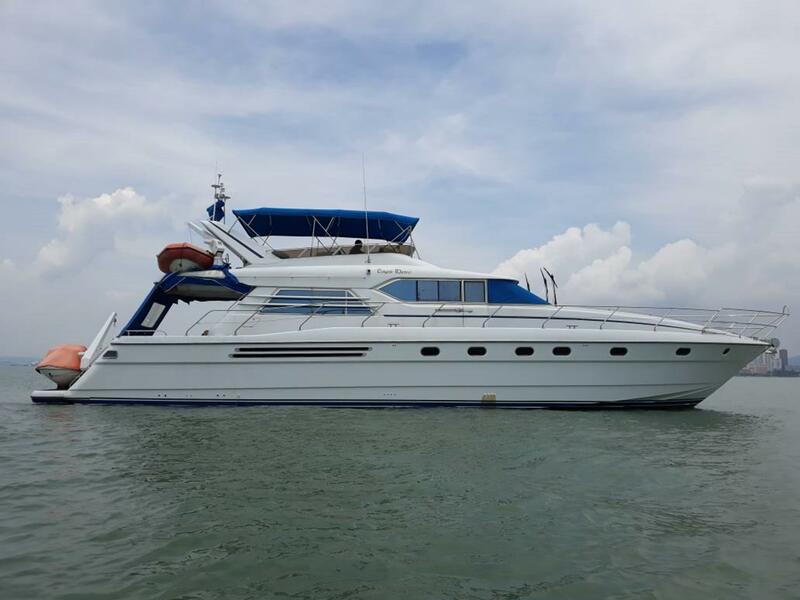 Located aft is davit and tender storage. 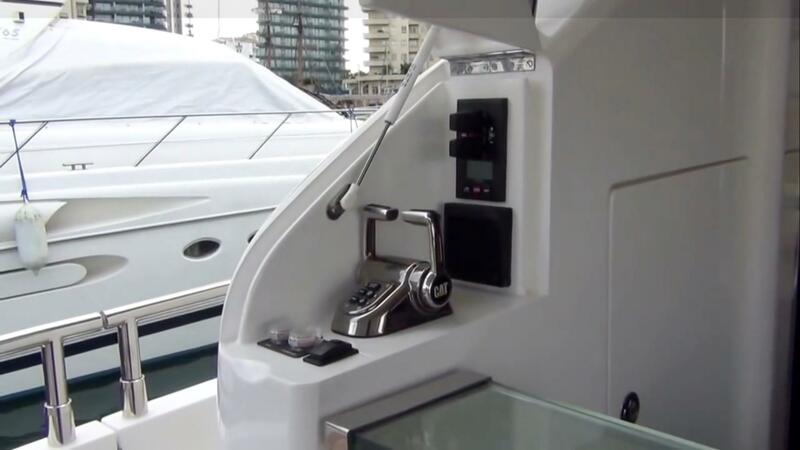 There's also a third (docking) station in the cockpit for easy berthing in marinas. 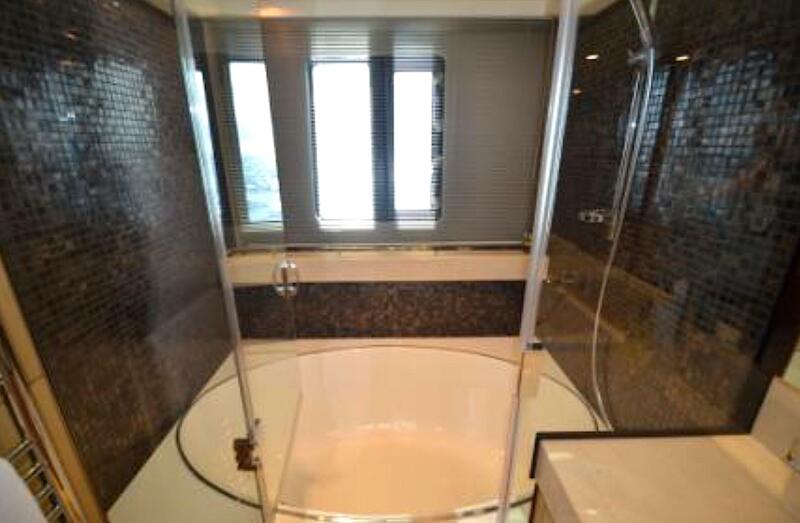 Please contact us for more information and viewing.